New members, of all abilities, are always welcome - watch here for details of open days. Our next OPEN DAY will be held on Saturday 21st September 2019 from 10am to 4pm. Why not come along and give Indoor Bowling a try. 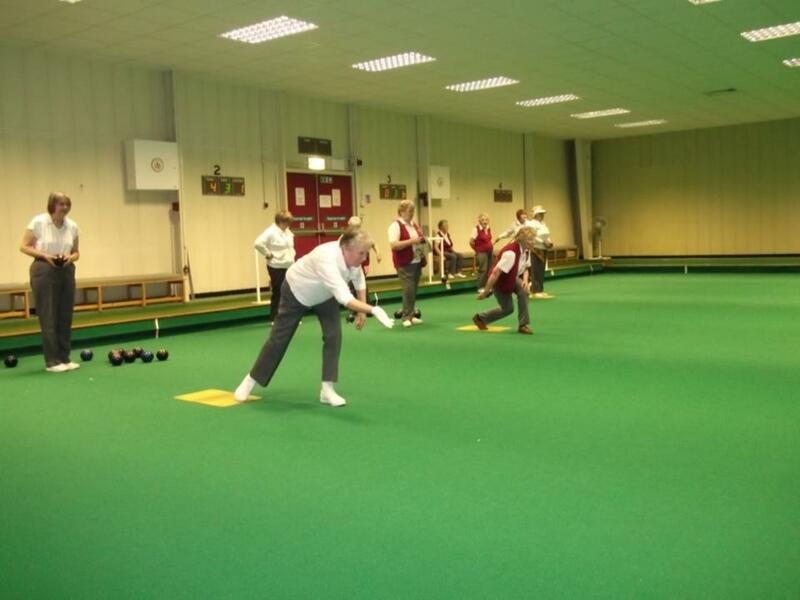 If you are already a bowler please come along to meet us and see our facilities. Please bring with you a pair of flat soled shoes, if you have them. SUMMER BOWLING SEASON commences Monday 29th April with the day league commencing Tuesday 30th April. 1: Chris Kane and Richard Fensome on winning the National Family Pairs competition for Area 10 and progressing to the last 16 of the National Finals.Next round of this National Competition is 14th April. 2. Nick Muir and Jenny Redford on becoming the County Mixed Pairs Champions. 4. Jenny Redford, Brenda Bennitt and Beryl Birch on becoming the Ladies County Triples Champions (2 wood). 5. Chris Kane, Richard Fensome and David Payne on becoming the County Mens Triples runners-up (but only by one shot).